Over two centuries ago, a fleet of ships set sail from England led by Admiral Arthur Phillip. Of the thousand men and women on board, most were convicts, sentenced to transportation for crimes against the Crown and banished to exile. They were bound for Botany Bay, on the other side of the world, in the freshly charted territory of New South Wales. The journey to their new home would take them across three oceans, cover 15,000 miles and leave them on the shores of a vast and virgin continent. 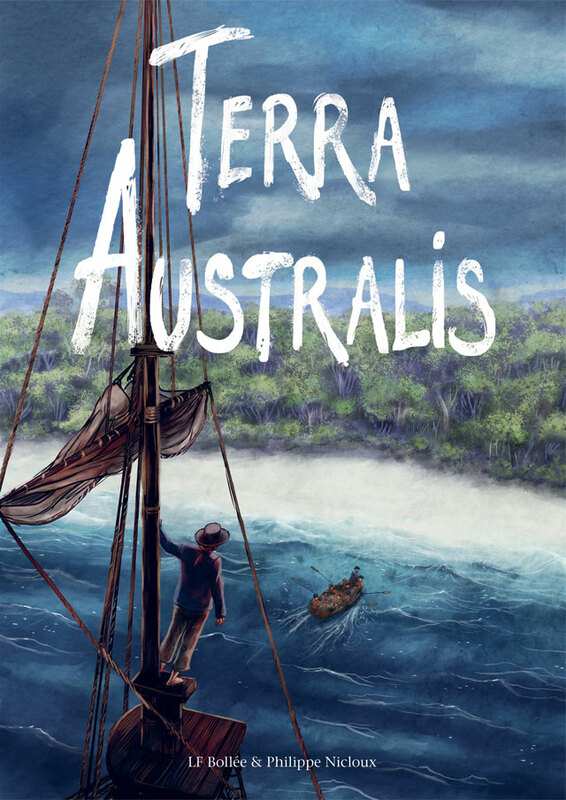 Five years in the making, LF Bollée and Philippe Nicloux present Terra Australis, the vivid and sweeping tale of an epic journey and an unflinching account of the founding of modern Australia. 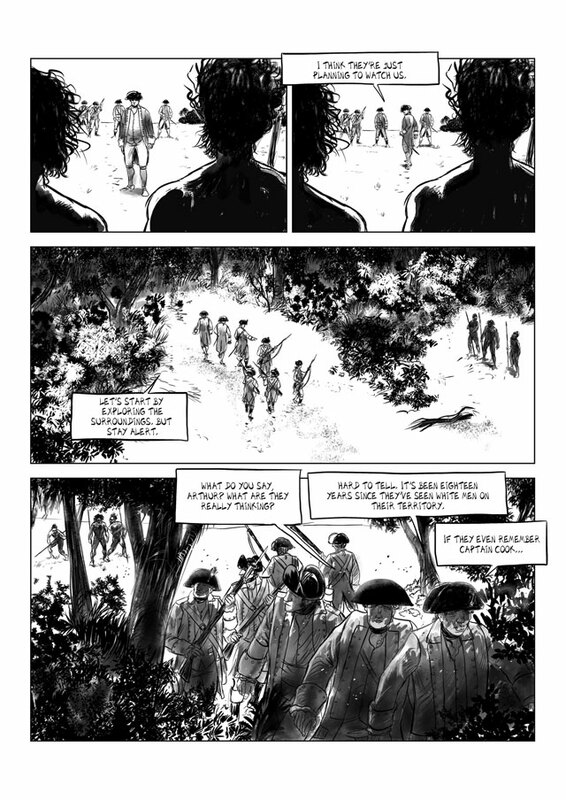 Philippe Nicloux has illustrated three graphic novels with his evocative and powerful signature style: Otomi, Rashomon and Tropic of the Lamb (Les Enfants Rouges, 2009–13). Terra Australis is his first collaboration with LF Bollée. He lives and works in Nice, France. LF Bollée has been a successful journalist and writer for over 20 years. Alongside his media work for various television and radio networks, he has also had published nearly 40 graphic novels, including a volume in the XIII Mystery collection (part of the internationally acclaimed XIII saga). 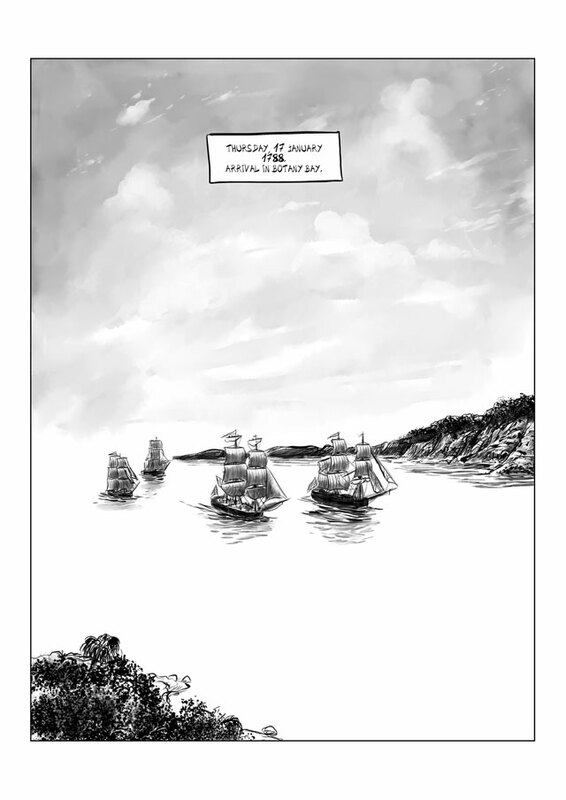 Long fascinated by Australia, Laurent-Frédéric began writing Terra Australis in December 2007. He lives and works in Versailles, France.